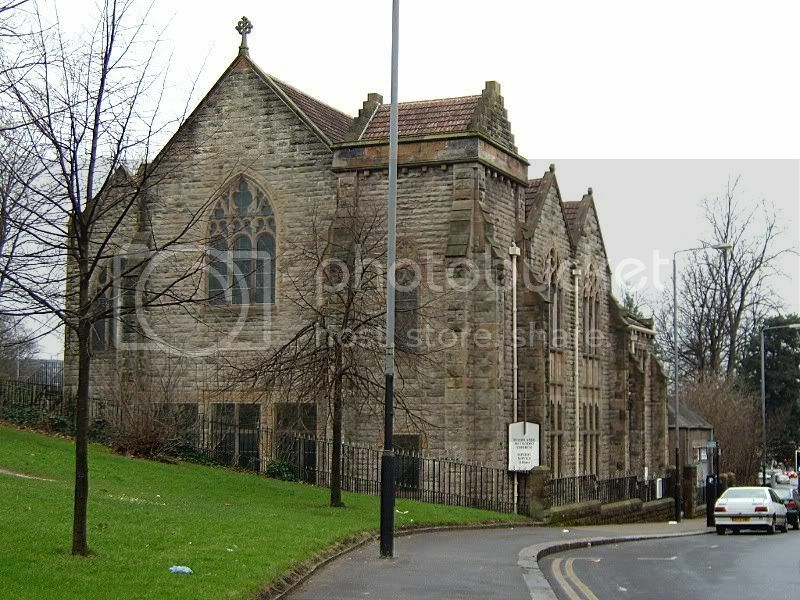 This is a picture of the Methodist church on Woodlands Road. I wonder how many people know that this church was originally built for a somewhat outlandish Christian sect, usually referred to as the Swedenborgians, although they preferred to call themselves ‘The New Church’. They based their beliefs on the theological works of an 18th century scientist and mystic called Emanuel Swedenborg. He claimed to have a special relationship with God that allowed him to visit Heaven and Hell whenever he felt like it and hold conversations with angels, devils and sundry other spirits. The doctrines of the Swedenborgian church varied in a number of important aspects from those of traditional Christianity, indeed they regarded the RC and all Protestant churches as having veered away from the True Faith and from a theological point of view they saw themselves as the only real Christians. They did not accept the Trinity for instance [i.e. the belief that God is simultaneously 3 entities, the Father, the Son and the Holy Spirit]. Also, they believed that you have the right to choose where you want to go to after death, in other words if you don’t want to go to Heaven then nobody is forcing you. You can choose to go to Hell if you prefer. However the hellish delights which Hell offers can only be enjoyed as fantasy [not much fun in that, is there, really?]. As for marriage, this doesn’t end with death but continues for all eternity. And if you decide to stay unmarried during your life on earth then a spouse will be found for you as soon as you enter the hereafter. All rather unorthodox and as if that wasn’t bad enough they were accused by other denominations of being occultists who communicated with spirits [although the Swedenborgians themselves strenuously denied this]. As an atheist I am obviously unable to accept any of the above [although bizarre belief systems do intrigue me somewhat]. My interest in the Swedenborgian church on Woodlands Road is on a more personal level since my late brother-in-law was the church officer there during the 1960’s. It was just a part-time job of course and quite how he got it I really don’t know since he wasn’t a member of the church. We were both regulars at the Halt Bar on the corner of Woodlands Road and Westend Park Street which in those days was just a bog standard working man’s pub [was there any other kind in Glasgow during the 1960’s?]. A couple of evenings a week he would pop along to the church first in order to perform various janitorial tasks, such as washing floors etc. Sometimes I would accompany him and, if I was in the mood, give him a hand, otherwise I would just wander about the premises taking in the atmosphere. I found it a fascinating if somewhat dark and creepy place and it was quite possible to imagine the Archangel Gabriel lurking in a corner somewhere watching my brother-in-law push his mop across the floor, a rollup dangling between his lips [my brother-in-law that is, not the Archangel Gabriel]. In particular I enjoyed going into the library, which felt like an alchemist’s study, where I would open various ancient leather-bound tomes and try and make sense of their arcane contents. I never went there on a Sunday, although of course my brother-in-law had to attend, and so I never saw the congregation. However I heard they were in fact a pretty staid bunch and mostly elderly. It did surprise me that there were enough people in Glasgow of a Swedenborgian persuasion to keep the church going and indeed I believe it went out of business, so to speak, during the early 1970’s. I think the building lay vacant for a number of years before the Methodists took over and I have a feeling that they did a considerable amount of renovation work. Swedenborgianism itself has not died out completely however. There are still a number of active New Church congregations, mostly in the United States. Long may they remain so. Fascinating stuff Viceroy. I had heard something along those lines years ago but i could not recall much about what i was told or which Church it was. Although i am also an atheist i always find it very interesting to learn the history of Glasgow's religious past. An old family friend of mine told me once that he used to play in a table tennis league after the war (apparently it was a big thing in Glasgow at the time) and would twice a year visit a church in Anderston for an away game which was full of fanatical American Mormons. I often wondered where that Church was and how they got a hold of it, as it was apparently a former Church of Scotland building. i suppose the decline in Church attendances must have started back then and the building became available. This is very interesting. I bought an overpriced pamphlet on Swedenborg when I was a teenager and never would have imagined a link with Glasgow. At around the same time I bought a few pamphlets on the Knights Templar. I wonder if there were any Templar posessions or preceptories/ farms etc near the city. Viceroy this is a very interesting posting. I never knew that about this building or the 'New Church' denomination, which dwelled within. I guess the building became surplus to requirements when it belonged to the C of S as after the Union of 1929 there were so many C of S churches overlapping each other and no where more so can this be seen than in the West End. I don't have time to list them all, nor provide the names that they were known by - but I do recall so many, all vying for congregations that should have bitten the dust years ago but held on with gritted teeth. The Park Church, which is at this time now only a tower is being renovated and repaired. Then there was the churches in University Ave, one of which was Hillhead Congregational Church with the first ever woman ordained in Scotland, Vera Kenmure. The other church is now the 'media' centre for Glasgow Uni (Media meaning I can't recall its name) and of course Wellington, but its not a Parish Church that place of honour belonging to Kelvinside Hillhead, which is an amalgamtion of two churches, one of which is Oran Mor now! There are a few denominations which either doubt, reject or have members who don't believe in the Trinity. What amazes me on this site and others is the fact that there are so many who 'do not believe'. I find that fascinating but I will stop here, cause I could go on forever! Nice building they are based in. As said before, this kind of Gnostic musing makes for an interesting diversion from the dreary established dogma of the big 2. Still equally silly though. In fact does the close proximity of the Lobby Dosser sculpture have a hidden significance? Not sure if there is anything closer to Glasgow still so visible? Thanks for the info. I bet the Templars had something in Glasgow but time and memory have obliterated it. I am not into them as such, but read a lot on them when I was less cool than I am now. I saw the Kilmartin stuff in 'The Temple and the Lodge' by the same chaps who did 'Holy Blood; Holy Grail.' If I was a biker I would scoot up there. Delmont St Xavier wrote: I guess the building became surplus to requirements when it belonged to the C of S as after the Union of 1929 there were so many C of S churches overlapping each other and no where more so can this be seen than in the West End. The church dates from 1909 and I understand the Swedenborgian congregation moved in to the building that same year, so I am assuming it was built specifically for them. They brought their own organ with them which had been in their possession since 1876 when their place of worship was in Cathedral Street. So they were well established in Glasgow, although their heyday does seem to have been during the second half of the 19th century with a gradual decline setting in from then on. haven't been to the site in a while but im sure it had info on scots templars and sites. Field Marshall Shug wrote: This is very interesting. I bought an overpriced pamphlet on Swedenborg when I was a teenager and never would have imagined a link with Glasgow. That is priceless! My flat is near Garscube Road. I just knew the Templars had to own stuff in Glasgow. Wonderful stuff. Mind you, they were sublimely rich.